Whether you agree that life is more stressful today than ever, dentists and periodontists in Mississauga are linking the increased cases of teeth-grinding (also known as bruxism), in large part, to stress. Let me tell you that I couldn’t agree more… especially as I write this next to my sleeping husband, a known tooth-grinder. With a high-stress job as a police officer, I can tell how much stress he’s under at work as soon as he dozes off. While this obviously isn’t a scientific point-of-view, I do believe there is a correlation that shouldn’t be ignored, and most periodontists in Mississauga agree. 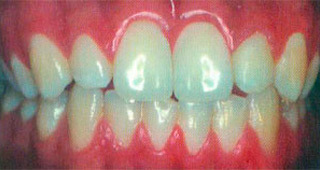 The biting force of an adult human can equal up to 200 pounds per square inch and when you clench or grind your teeth on a regular basis that prolonged pressure takes its toll not only on your teeth and mouth structure, but on your muscles, tendons, ligaments and joints of the jaw, skull, neck and shoulders. While bruxism (grinding teeth) is generally quite mild and known to disturb your sleep, the impact on your dental health is where our team of expert periodontists focus. The habit can wear down your enamel, cause increased tooth sensitivity, result in chipped or broken teeth and, in severe cases, cause misalignment to the jaw and mouth structure, all of which require the best periodontal care in Mississauga. In many cases patients aren’t even aware that they grind their teeth, doing it subconsciously. If you are under any additional stress, wake up with a popping or pain in your teeth or jaw joint, experience unexplained toothaches, or notice cracks and chips in your tooth, visit our periodontal team as soon as possible. Taking early precautions can help you avoid extreme damage down the line. As experts in periodontal treatments, specializing in dental implants, gum recession, crown lengthening, bone grafting and more, we’d love to help you address your dental and smile concerns. Call us at 1-800-341-7471 or connect via email at [email protected] Until then… keep smiling! We are located in Mississauga near Square One.